If in the name of this neverending winter weather and its resulting dry, static-y hair, you’ve buried your favorite salt spray somewhere between an old, half-empty bottle of aloe vera and any hopes of a suntan, we would be friends. I, like you, can’t stomach the idea of anything to do with the beach and its waves until at least Memorial Day. 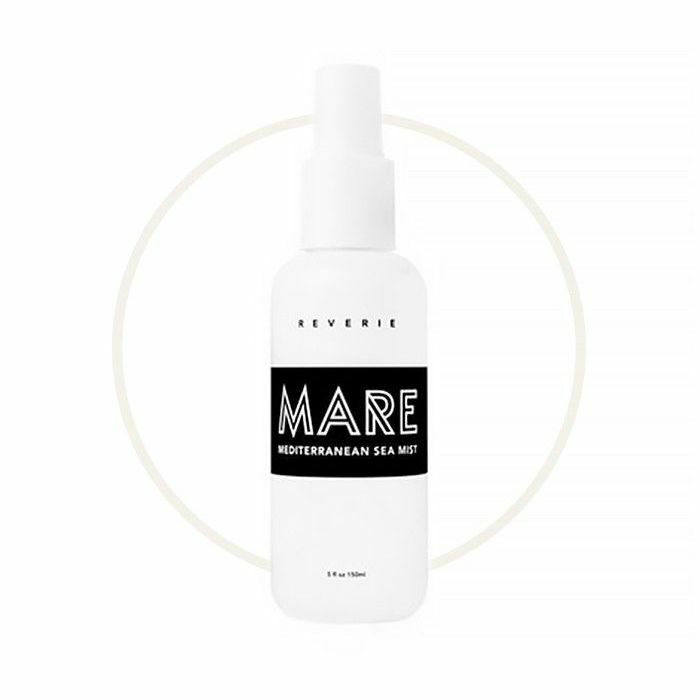 But, for the sake of good-looking hair and a placebo for the brilliant effects of vitamin D, you should seriously consider jumping on board with my latest discovery: Reverie’s new Mediterranean Sea Salt Spray, Mare ($34). It’s arguably better than all other salt sprays I own and has proven that it belongs on my bathroom counter even when it’s thirty degrees outside. Why? Aside from the packaging being a modern minimalist’s dream, it smells like vanilla, bergamot, lemon, and almond, and it can (and will) transport you from your seat on the B Train to the shores of Southern Italy. Also, because it’s formulated with rice seed and algae extracts, it actually adds volume while strengthening your hair in the long run. You can spritz it and scrunch for beach babe texture, but I like to apply it at my roots before a blow-dry to add serious volume and body. And for the naysayers who think a salt spray will only make their dry hair drier, I assure you this is not the case with Mare. In fact, Mediterranean sea salt is known for its conditioning properties, and I can attest to the fact that it successfully amps up your natural texture without dryness or stiffness. As it stands, I’m still not completely sold on the idea of hair perfume for hair perfume’s sake, so I love the fact that I can now get a good looking bottle of texture-enhancing product that does its job and makes my hair smell the way I imagine it would if I was Amal Clooney vacationing in Lake Como. Bonus: As with everything in his line (like the so-popular-it-sold-out Rake), Mare is vegan, cruelty-free, fair trade and made in the USA. What’s your favorite sea-salt spray? Click here for more that the internet loves.